I sustained a crush injury to my dominant hand. I needed surgical pins and was in a great deal of pain. Unfortunately, I was traveling to a European country in which the word “conservative management,” as it relates to treating injury, reached new heights. I was offered Tylenol. It doesn't get much more conservative than that. 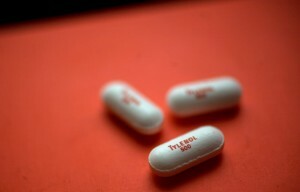 Tylenol. Plain and simple. For those professional athletes in the world who suffer through fractures and crush injuries and who wish to reengage their sport, Tylenol in this setting will not cut the mustard as sports medicine. Platelet Rich Plasma (PRP) and Stem Cell Therapy are regenerative medicine techniques to aid and repair the body; Tylenol is not. If you need state of the art therapy for injuries consult Dennis M. Lox, MD,. Tylenol, at any strength, may not cut the mustard.